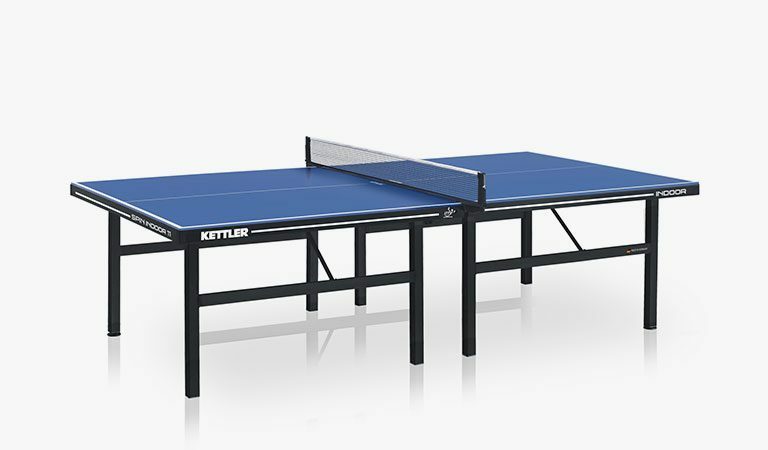 Whether it’s endless rallies and fierce competition or friendly games of round the table, friends and family will get hours of entertainment from Kettler’s Axos Outdoor table. 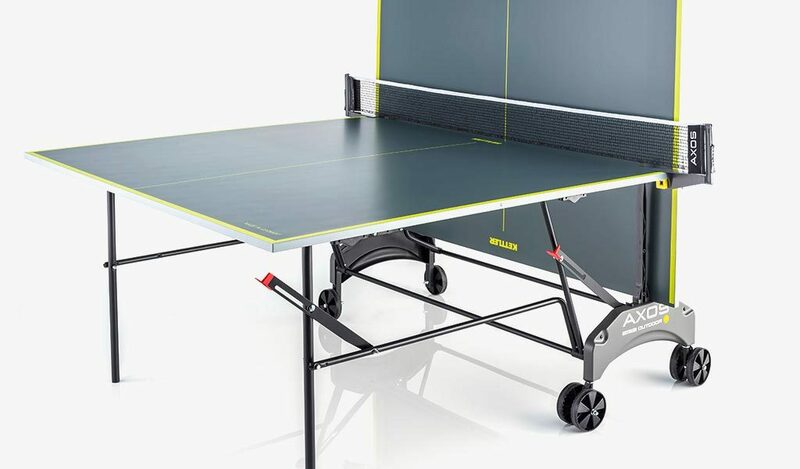 The AXOS Outdoor 1 table tennis table folds into a small space for convenient storage while solo play lets you improve your game. 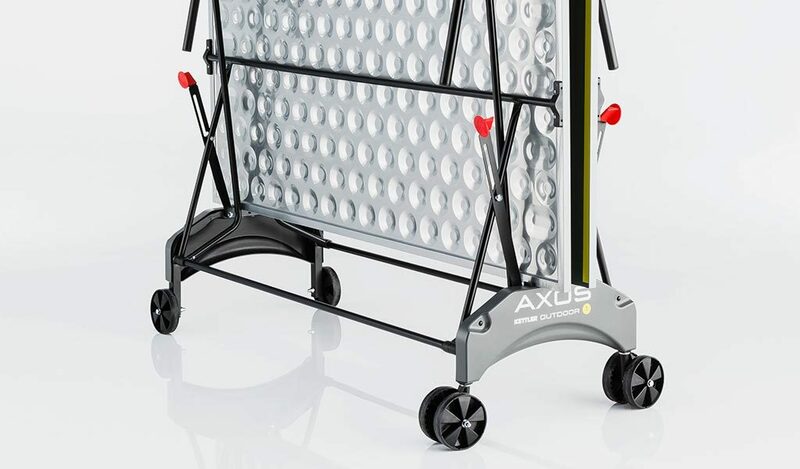 On the Kettler Axos, the surface is layered to keep the ball bouncing for speedy, non-stop rallies. It also includes a detachable net that can be stored indoors during wet weather. 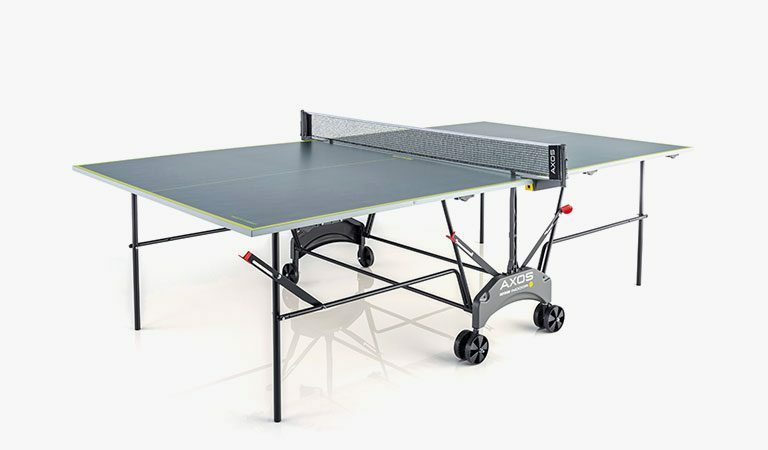 You can even fold one half of the table up and practise your skills without needing an opponent. 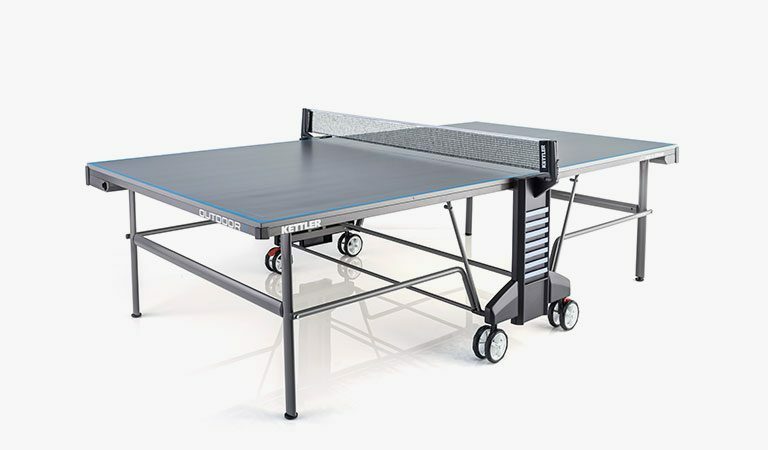 The AXOS Outdoor 1 table tennis table is designed to withstand the elements. When you’re finished playing, the large wheels make it easy to manoeuvre the table tennis table across the garden. Or allow it to stay outside as its aluminium frame is weatherproof while a UV finish slows de-colouration in the sun. 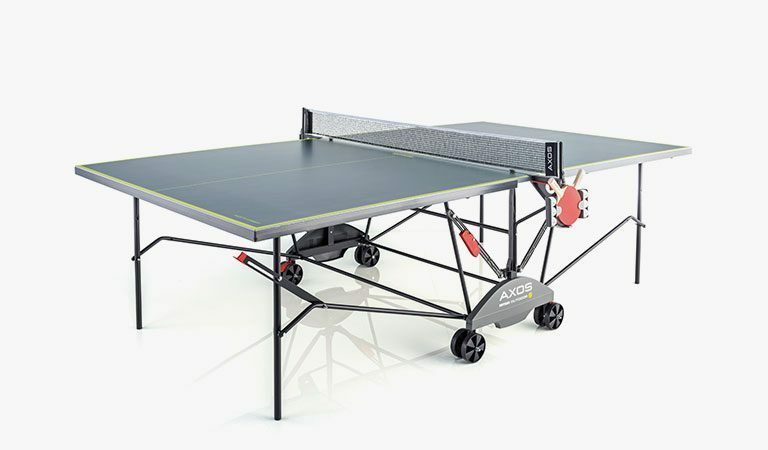 An ideal outdoor accessory for the garden, the AXOS Outdoor 1 is an affordable full size table tennis table. Perfect for a party or family competition. High quality, weatherproof and UV-resistant 22mm ALU-TEC+ composite top with aluminium underside. Fold one half of the top up into the playback position, allowing you to practice shots and improve reaction times. 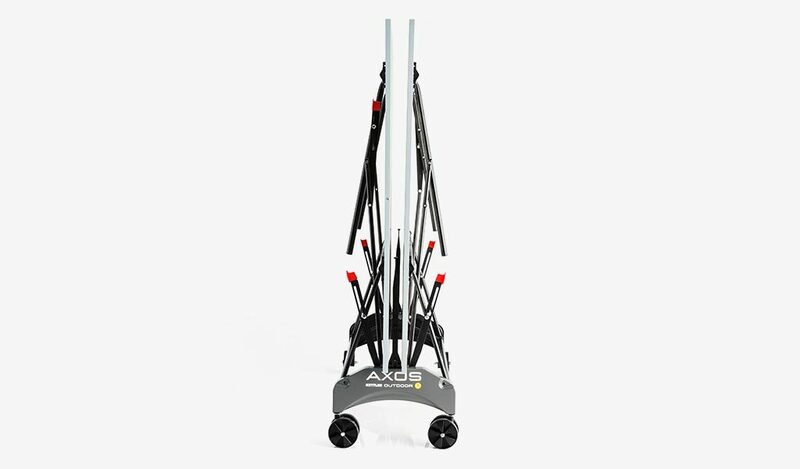 The Kettler Axos is compact, easy to fold for storing away and the wheels ensure that it’s quick to get the ping-pong table out and put away again. High quality aluminium composite top. Possible playback position for solo play. Compact construction– clearance height: 1,71m. Detach net to store inside overnight. Weatherproof 22mm ALU-TEC+ composite top. 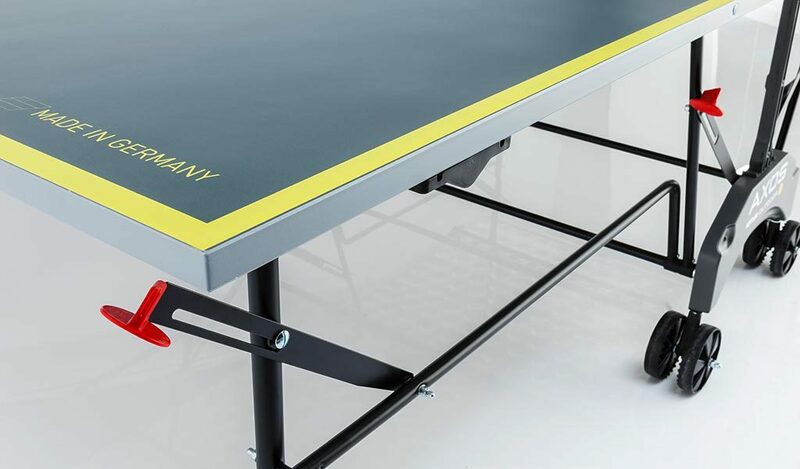 10 year table top warranty (conditions apply). 3 year undercarriage warranty (conditions apply). Table Tennis Accessory Set also available.